Ranchi: The Medical Protection Bill of Jharkhand seeking to prevent doctors, healthcare staff and hospitals from attacks by patient parties was sent to the Select Committee after MLAs cutting across party lines opposed to some of its provisions. Speaker Dinesh Oraon sent the bill to the Select Committee saying that detailed discussion on the provisions of the bill is required. 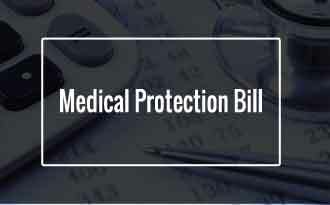 MLAs of Treasury as well as the opposition benches opposed some of the provisions of the bill and demanded that provisions for the protection of the patient’s rights should be there in the bill. Initiating the debate, Health Minister Ramchandra Chandravanshi said that 18 states have passed such protection bill and Jharkhand too needed to pass the bill as soon as possible to get services of specialised doctors. But BJP chief whip Radhakrishna Kishore cited a provision that said the criminal case would be registered against a political leader if he or she is involved in a dispute in any hospital or medical institute. Kishore said political and social leaders will not come forward to help the poor in hospitals if such a law is passed. Dr Jitu Charan Ram of BJP welcomed the bill but Congress Dr Irfan Ansari demanded that the bill be sent to the Select Committee for a detailed discussion. BJP MLAs Ananth Ojha and Biranchi Narayan, Arup Chatterjee of Marxist Coordination Committee also mentioned some of the deficiencies in the bill. Parliamentary Affairs Minister Saryu Roy said that the bill had been brought in 2013 and at that time too it was sent to the Select Committee for a detailed discussion. So, it should be passed right away this time with the inclusion of the amendments proposed by the members, he said. But Speaker Dinesh Oraon directed that the bill be sent to the Select Committee.